It’s with pleasure that the team of the Virtual Constructor welcomes the first banner that adheres to the B2B licensing program. In fact, the interactive application has been on their website since January 15 this year. In only 48 hours, several thousand internet users were entertained to plan and estimate different building project. A large distribution of upcoming flyers has kept the attention of the people from Mauricie to Lanaudière up through the north of Montreal. We are talking about 360 000 copy that have been distributed throughout all regions where Patrick Morin is implanted. It’s also more than 175 advisors and sellers that were formed at the formation center of Patrick Morin in Joliette. 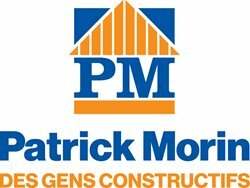 All the employees are now able to use the Virtual Constructor in the 20 branches of Patrick Morin, at the materials department.